The best part about how Chrysler has evolved and changed itself to stay competitive in an ever-evolving American auto industry is to recalibrate themselves not as a company that tries to make everything under the sun in every single sector, but by making a smaller number of cars in a way that ensures that their quality and reliability speaks volumes for itself. 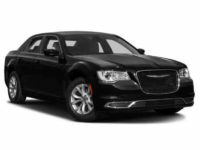 One of the sedans that Chrysler really hangs its hat on is the Chrysler 300. The flagship sedan of the line, we can offer the best auto lease deals in all of NJ on that particular model, which boasts 360 plus horsepower and can get up to 31 miles per gallon. These numbers are fantastic for a car as comfortable and spacious as the 300, so we are thrilled that we can offer the finest Chrysler leasing deals to our New Jersey customers. 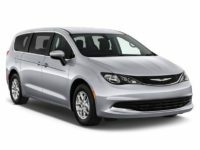 Your needs can change as time progresses, though, so we are also happy to say that we offer the finest leasing deals on the market thanks to our diversified inventory that lets us offer such wonderful cars as the Chrysler Pacifica in any number of color, interior, or any other option that is on the market. We can get just about any variation on any of these wonderful cars to you by presenting the leasing deals that our competitors can only dream of, and you can keep on top of those deals by visiting this website periodically or by giving us a call at 201-649-5111. There is just something about a car that is steeped in the history of Detroit and that emblematic American manufacturing ingenuity. 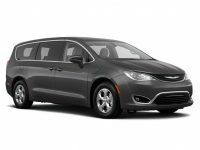 One such brand that echoes over the years is Chrysler, which is now committed to doing a small line of automobiles very well, and very completely. We here at Jersey City Car Leasing are thrilled to be able to offer these cars at such a reasonable rate to all of our friends and colleagues in the form of wonderful auto leasing deals that get you into the car of your dreams, at any time that you are ready to pursue such a goal. Chrysler is an iconic American company, with roots in Detroit that span back almost a century. A wonderful lease deal on such a fine automobile is something that any one of our neighbors here in Jersey City (and NJ as a whole) would love to get their hands on, and we are thrilled to be able to say with the utmost confidence that we are the finest providers of just such a deal. Perhaps one of the things that truly sets apart Jersey City Car Leasing from the competition is our customer service team of dedicated, unparalleled professionals. They are the best in the business, and we take pride in how much we work with them to make sure that they are constantly getting the best training and investment that they need to succeed – because when they succeed, you reap the benefits in the form of wonderful Chrysler lease deals. Give us a call today for more information, or come back to this very website at any time to gain more information about what we can offer to you.